The Canary Islands are one of the most popular destination in Spain, and they get an increasing number of tourists each year, as some of the other European destinations have fallen due to safety reasons. The Canaries have many returning visitors each year, but right now there are many people planning their first holiday here and wondering which is the best Canary Island to visit as a first timer. The archipelago receives around 15 000 000 visitors each year and the numbers for Tenerife for 2017 show that in the first quarter of the year the island has received 1 800 000 tourists. This makes Tenerife the most visited island in the Canary Islands, receiving around half of the total number of visitors, while Gran Canaria and Lanzarote receive most of the other half. Luxury tourism and 5* hotels in Tenerife have also seen an increase of 7,7% in the first quarter of 2017 compared to last year, as the island now has direct connections with 23 countries and 115 airports. There are around 30 000 flights each month between all the Canary Islands, which goes to show the great interest that exista for this region of Spain. Luxury tourism will continue to grow on the island as new hotels are being developed, like the new 5* Barcelo Hotel in Costa Adeje, which will be open in Dec 2017/Jan 2018. Places such as Loro Park and Siam Park continue to attract millions of tourists as well, more so now since they have received the distinction for Best Water Park in the World 2017 and Best ZOO in the World 2017 from Tripadvisor, based on users' reviews. 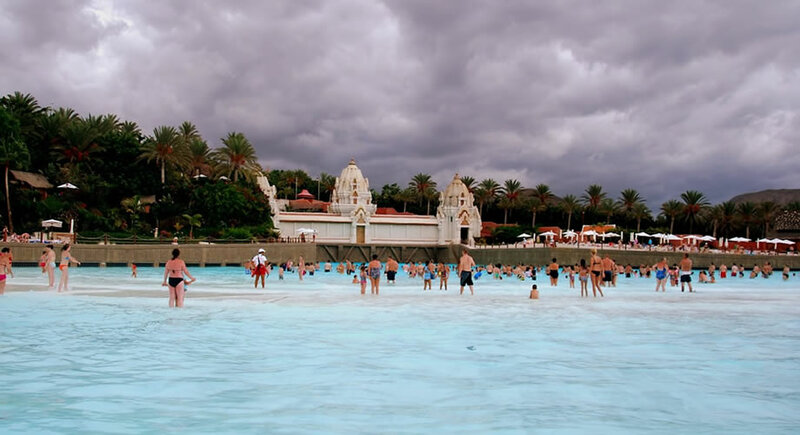 Gran Canaria, the second most visited island in the Canaries, has become a popular gay travel destination, especially the are of Maspalomas, in the south of the island, where events such as Maspalomas Pride or Las Dunas Festival are taking place. Tourism is Fuerteventura has seen a rise as well, as more and more people start discovering the pristine beaches and fall in love with the more laid back way of life, different from the other islands. The downside of tourism growth is that prices have risen on all the islands, especially when it comes to accommodation, as hotels and private owners have seized the opportunity to make more money due to the large demand. Unfortunately, as people who live and work on the islands report, workers' salaries have not increased and are still some of the lowest in Spain. Although Tenerife get around 4500 million euros each year due to tourism, this hasn't helped improve living conditions for locals, who still struggle to make a decent living, despite working long hours in hotels, restaurants or other types of services related to tourism.